My attempt to create a couple of RightClick skins to match the Leopard look. Enjoy! hey great job on this! the graphics look slick! again, well done! Yes sir! Glad to be of service! hi! m new here...i want to know how to install this theme...i hav downloaded it and saved in a folder....but how do i install! ???? please help! thanks! kunnnnu: Copy the folder into this directory on your computer: C:\Program Files\Stardock\Object Desktop\RightClick\Skins. ok im very new to this site i love this skin but i cant get it to work and i dont know how to install can someone help me? i have windows 7 and i have window blinds installed and im not the fastest at gettin this to work so im a lil slow but could someone please help me with this? I can't apply this theme.!! anyone can help me please? 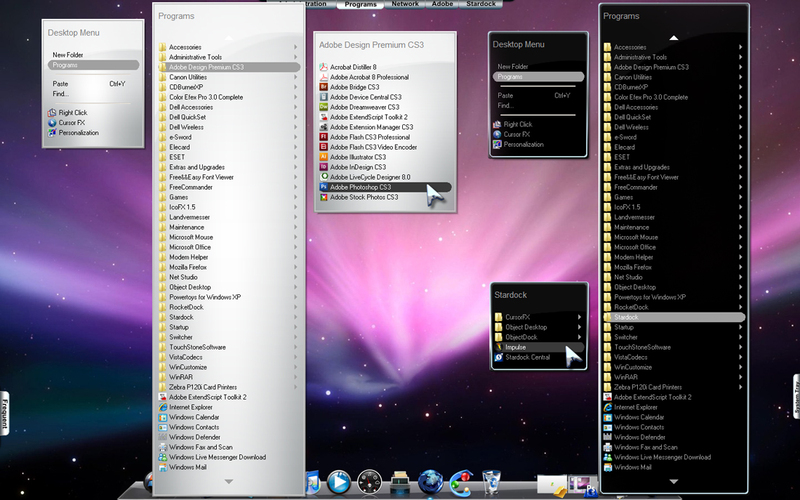 Beside stardock, any 3rd party software can apply this theme?